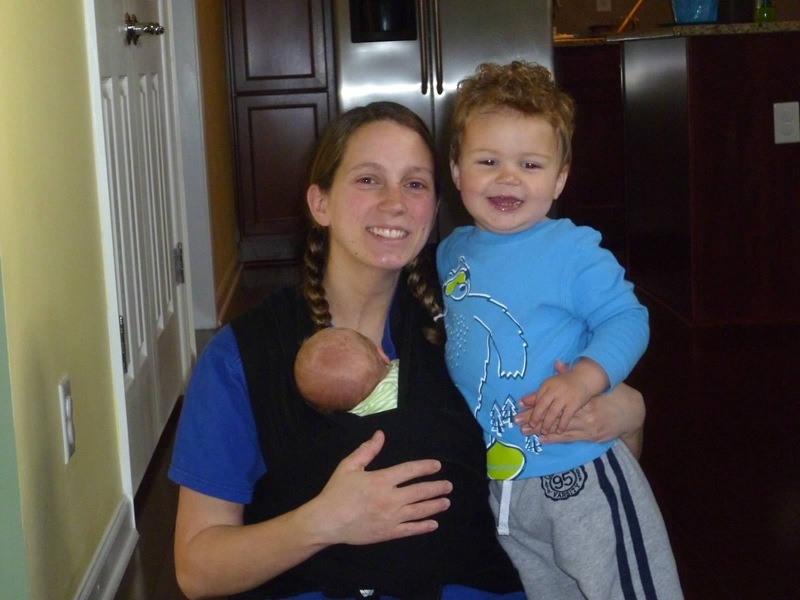 Who: I (Jill)am wearing my 2 week old son Carter and am also with my 21 month old son Tyler. My husband (Brett) took this picture for me. What: I am wearing a Moby Wrap. This was one of the first times that I used the Moby. With Tyler we had an Infantino Flip that we used when he was a little bit older. Why: Since I am the mother of two boys, baby wearing is the best way to give both the attention that they need. I am able to play with Tyler and have my hands free to help him and am also able to have Carter with me giving him attention as well. I love having both boys near me.